Terri Nopp is the founder of Online Newsroom, a PR agency focused on helping organizations evolve their communications to meet the needs and demands of today’s public. Over the past 2 decades Terri has built a reputation for her entrepreneurial spirit and innovative communication expertise, working with start-ups to some of the world’s leading tech and consumer brands. She has developed PR campaigns for leading technology companies such as Microsoft, WebTrends, Tripwire and Autodesk. 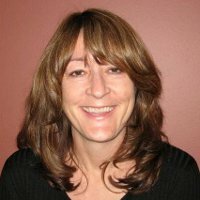 Prior to founding Online Newsroom, Terri was the Deputy General Manager at Edelman Portland where she ran the office operations and was also a global customer relationship manager for Autodesk. Prior to Edelman, Terri started TNT Communication, a boutique high tech PR agency and spent the first 8 years of her career driving PR strategies for a variety of Microsoft products, including Office, Outlook, Windows and Visual Studio. Terri is an active outdoorswoman and enjoys spending time with her husband Mike and 2 dogs at their Yurt in the Columbia gorge.